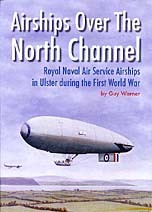 A monograph on Royal Naval Air Service Airships in Ulster during the First World War at a special price to help fund Ulster Aviation Society restoration projects. In April 1943 the Halifax on which Alfie Martin was an observer with 102 Squadron was shot down over the Belgian-French border. 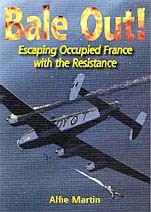 This is the story of Martin’s escape, with the help of the French Resistance, to Spain and Gibraltar. Prestwick Airport transitioned from being a major World War Two terminus for military aircraft arriving from Canada and USA - to being Scotland's designated trans-Atlantic civil airport. In the days when its fog-free environment was all-important, it hosted airlines such as BOAC, PanAm, Air Canada, Caledonian Airways and Northwest Orient – until 1983 when Air 2000 was granted rights to USA from Glasgow Airport. An airline exodus from Prestwick soon followed. 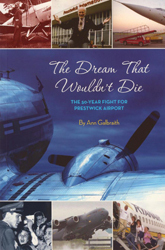 This book documents Prestwick's survival strategies during those years. The latest survival strategy occurred in 2013 when Prestwick Airport was acquired by the Scottish Government. Gisborne-based East Coast Airways was the first New Zealand airline to operate twin engine aircraft - DH84 Dragons from early 1935. This book covers the history of the pioneering airline in detail and contains probably the most comprehensive collection of period DH84 Dragon photographs found anywhere. It also contains a restoration account of DH84 c/n 2057, returned to the air in 1997 joining a select breed of airworthy examples of this very early practicable airliner. 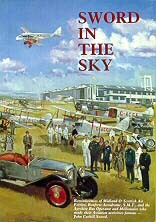 The definitive account of Aberdeen Airways, Allied Airways, and Eric Gander Dower. In September 1939, Polish airman Wójcik set off with his unit to confront invading German troops. Before the month was over he was beginning a battle of survival in Soviet labour camps in Ukraine and the Soviet Arctic. 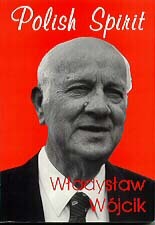 Wójcik kept this story to himself for fifty years – it is a gripping read. 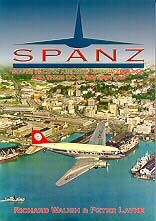 SPANZ was a 1960s start up airline that challenged NAC, the Government-owned national airline of New Zealand. Compelled to be innovative in all sorts of ways the airline worked with Ansett Australia to convert standard DC-3s into plush Viewmasters with maybe the largest windows ever seen on an airliner. With a plethora of beautifully produced photographs this is one of the most professional small airline histories ever published. If you like DC-3s (who doesn't?) this book provides a new look at the type through Viewmaster eyes. Cook Strait is New Zealand’s great natural divide. This book tells the interesting story of the aviation pioneers from the first flight ‘strait across’ this unpredictable channel in 1920. 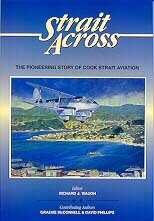 However it majors on the first airline, Cook Strait Airways, which operated from late 1935. By 1938 it was operating five DH89 Rapides. Over 19,821 flights were completed and this book contains a comprehensive set of photographs outlining these pre-war operations. Also covered is post-war history including operations Lockheed 10 and Heron aircraft. 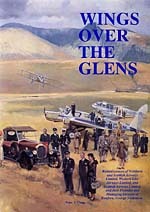 Well researched account of Midland & Scottish Air Ferries, Scotland’s first airline, and its founder, John Sword. A well written account by a pilot who began his engineering apprentice with the RAF in 1938, changed to flight crew and then served in No.75 Squadron during the latter stages of World War Two. He went on to civil flying in the UK on Rapides, including Air Navigation and Trading, and suffered a nasty accident near Newcastle-upon-Tyne in 1954. He emigrated to New Zealand where he flew Rapide, Beech 18 and Lockheed 10 aircraft over some of the country’s roughest terrain. 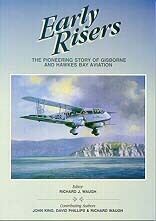 A blend of autobiography and historical reference, this book also contains details on the DH89 type including a history of all sixteen examples to fly in New Zealand since 1934. 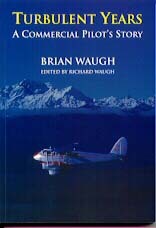 A comprehensive account of perhaps the world’s longest running de Havilland biplane air service. A detailed text written by experts with an array of mostly pre-war period photographs of DH83, DH89 and DH90 types, including some particularly rare colour images all reproduced to the highest quality standards. 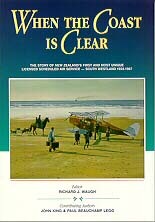 This pioneering air service helped prove the relevance of aviation for ordinary New Zealanders. 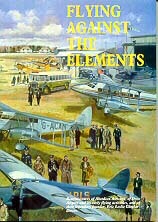 A unique book and a ‘must have’ for any de Havilland enthusiast. The full story of Northern & Scottish Airways and Scottish Airways, founded by George Nicholson, and featuring legendary pilot David Barclay.